We tied our library lessons to our PBIS focus for March - Kindness. I had come across a book I Am Not Just a Scribble by Diane Alber. I read it and realized it was a great story for reinforcing the ideas of uniqueness, acceptance and kindness. I also discovered that Ms. Alber had created National Scribble Day to encourage kids (and adults) to create art regardless of their perceived ability. Kids all across NBCS were able to hear the story and discuss the author's intentions and themes. We then created our own Scribbles! The kids had so much fun using the eyes and mouth stickers to give their Scribbles personality! I suggested that teachers could use the scribble characters as a story started, so hopefully our Scribbles will be going on some creative adventures soon! New School Year...New cardboard Challenge!!! This month we participated for the second year in the Global Cardboard Challenge inspired by imagination.org and Caine's Arcade. 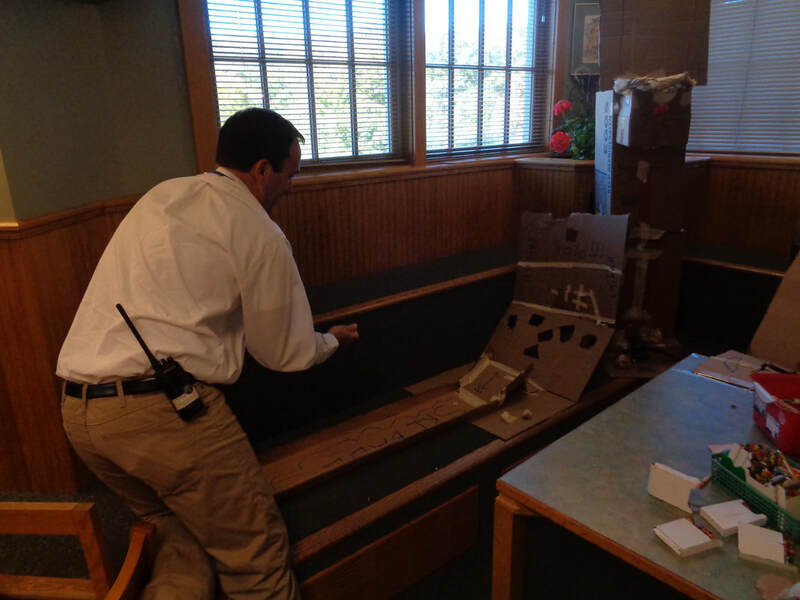 The kids had an incredible time using the cardboard and exploring the boundaries of their imagination! Some students worked independently while others collaborated with classmates or Learning Buddies. Yet again, the kids had a blast and are already asking when we can do it again! Don't be surprised if they ask to keep some boxes to play with at home around the holidays! Have a Read-A-Thon so we can all snuggle up with a good book! The PTA hosted another amazing Read-a-Thon in the NBCS library. It had to be bumped a day because of snow, but teachers and students took it in stride and had a great time. The PTA volunteers had decorated sections of the library with various themes including: Walking a Red Carpet, Sunny Beach, Fairytale Castle, Football Stadium, Cuddle with a Stuffed Animal Zone, Rock & Roll Arena, Under the Sea and Camping Under the Stars. Many of the students were dressed in their comfy pajamas or dressed up as one of their favorite storybook characters. All of the classes came to the library to spend some time in their favorite area reading books of their choosing. Even many of the adults took a chance to drop everything and read and set a fine example for their students. 'Tis the season to UPCYCLE! This week as we are slipping and sliding into the holiday break we have been having fun here in the library. Some classes have been exploring Google Earth finding landmarks that Santa might visit on his travels and identifying the countries and continents where they can be found. 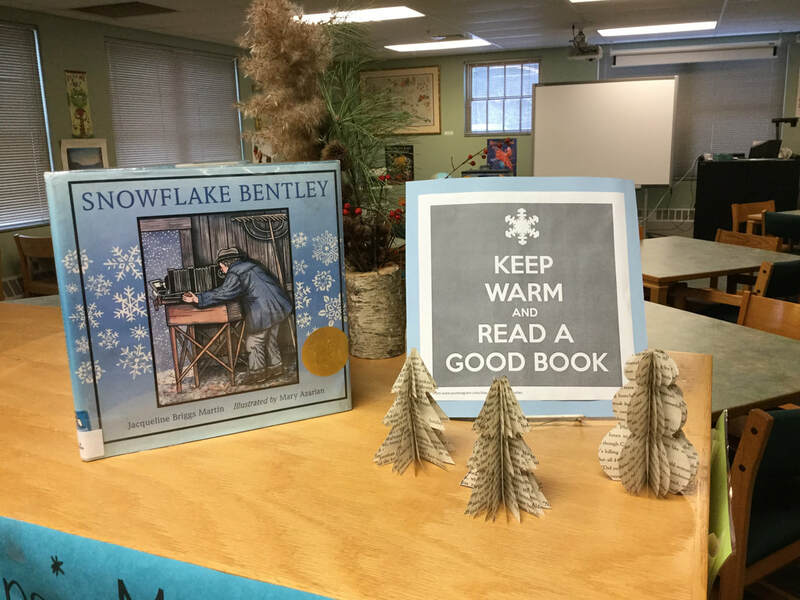 Others have been upcycling damaged books by making 3-D evergreen trees and snowmen. Most every class has been enjoying their favorite seasonal stories. Their favorites include some stories that are funny while others tug at your heartstrings. But a favorite by far (and chosen by almost every class) is the classic, Mr. Willowby's Christmas Tree​ by Robert Barry, which has been read here in the New Boston Central School library for many years. Digging down and doing research! Our Third Grade classes have been learning quite a bit about Native American tribes through research and the use of our electronic book (e-book) sources. Their fact finding skills have been on point and their reports and projects are coming together nicely. I can't wait to see some of the final products and hear them talk about what they have learned. First grade friends "getting their build on"! 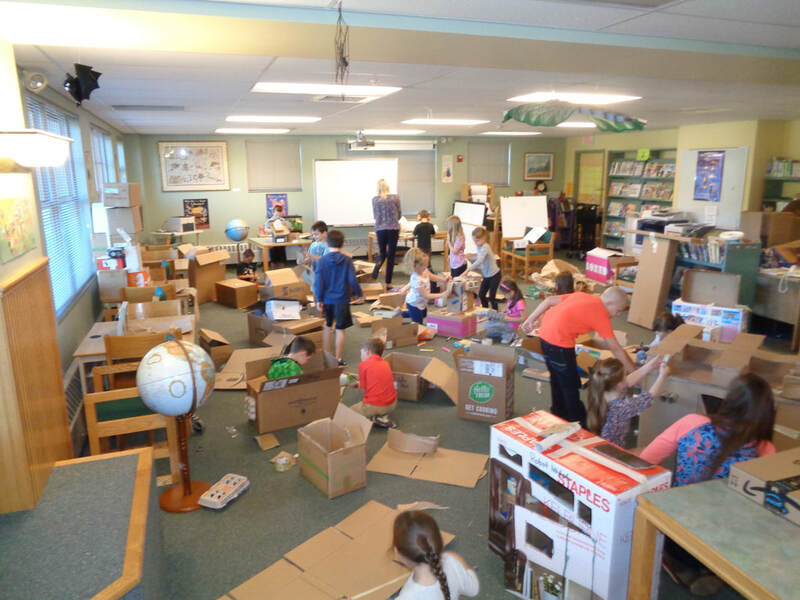 Inspired by the video Caine's Arcade, and one of this year's Ladybug Book Award nominees - What to Do With a Box by Jane Yolen, we here in the library decided to take on imagination.org's Global Cardboard Challenge! For 2 days last week, over 400 kids came through our library which had been transformed into a creative building space. They came to build, cooperate, collaborate and challenge their minds and motor skills in an "out of the box" creative way! Some teachers were even brave enough to take on the challenge within their own classrooms. We had robots, airplanes, houses, arcade games, restaurants, Batmobiles and more all throughout our space! Everyone had so much fun and we appreciate the donations of tape and cardboard from teachers and the community. Kids are already asking when we can do it again! Dr. Stokes enjoying an arcade game. 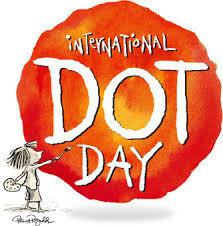 This Friday, Sept 15th, we will be celebrating International Dot Day! This day of personal creative exploration is inspired by Peter H. Reynolds book, The Dot. This book is about a young girl named Vashti who is encouraged to explore her artistic talent. In the library and in some classrooms, we will be doing activities that let us express our individuality. Mindi Charles is a passionate teacher librarian who hopes to instill a love of books in all her students.